As the book got presented to the public on Saturday, September 15, Ifedigbo expressed great joy knowing that his words would finally be felt by a wider audience out there. This means that people out there would get to know why ‘the funeral did not end’! Packed in a handy 300 page book, the book offers a collection of 20 punchy stories, adroitly written by Sylva Nze Ifedigbo, a tempered writer who has successfully merged his penchant for social commentary with his capacity for observing that same society with a keen eye and a mind that understands perfectly well, how to negotiate the threshold where the profound meets the mundane. Perhaps it would delight you to know that Sylva is a trained Veterinary Doctor from the University of Nigeria Nsukka, and now works in Corporate Communication. He is an award winning fiction writer and essayist, has written widely on Nigerian Socio-political issues both online and in the print media, and Next Newspaper and Daily Times have featured his by-line regularly. His novella- Whispering Aloud was published in 2008 by Spectrum Books Ibadan. 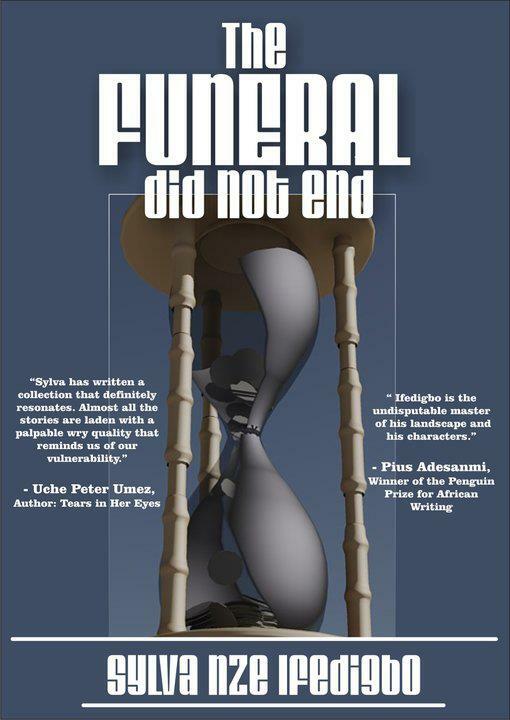 The Funeral Did Not End, his second published book which has been long anticipated, is published by DADA books. Thinking of laying your hands on a copy already? As you may well expect, copies are readily available at DADA Stores- 95, Bode Thomas Street, Surulere, Lagos. It’s even more delighting to know that the book is also in stock at Quintessence, Ikoyi; Terra Kulture, VI; Debonair, Yaba; Patabah, Surulere; Pharm Affairs, Ogudu; Unilag bookshop, Akoka; LASU bookshop etc. Don’t let somebody tell you the story… get a copy and enjoy the flavor!